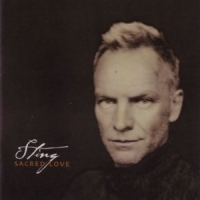 Answer the following trivia question for the chance to win an autographed copy of Sting's album Sacred Love, which Rolling Stone called "…a vivid and frequently gorgeous reminder that Gordon Sumner is first and foremost a talented singer-songwriter." What do secrets, loss, love, fathers, sons, and God all have in common? Please submit your answer to the folloeing question using the form below by 11AM/EST tomorrow. Each correct response will be entered into a drawing and winner will be selected, at random, and announced during the next day's post. Please note, each member may only enter once. This contest has now closed. The winner was Marjorie Hong who correctly answered they were all chapters in 'The Book Of My Life'. There are only 10 days left in the Sting.com '25 Days' countdown! Today we're excited to share an exclusive Sting: 25 Years webisode in which Sting discusses the English countryside, the god of Mercury and Y2K. Interested to learn how they all connect? Watch here to find out! This is the third in a series of five videos Sting.com is premiering as part of the Sting.com '25 Days' countdown. Please continue to visit Sting.com at 11AM/EST daily, as details on the grand prize will be announced in the coming days! Sting.com is excited to share an exclusive preview of a track from Sting: 25 Years! Featured on Rough, Raw & Unreleased: Live at Irving Plaza, this previously unreleased version of "Demolition Man" was recorded live on the final night of Sting's US Broken Music Tour in May 2005. Listen here Listen here. RT the link on Twitter (be sure to tag with #Sting25) and one lucky winner will be randomly selected to win a copy of the Sting: 25 Years box set!